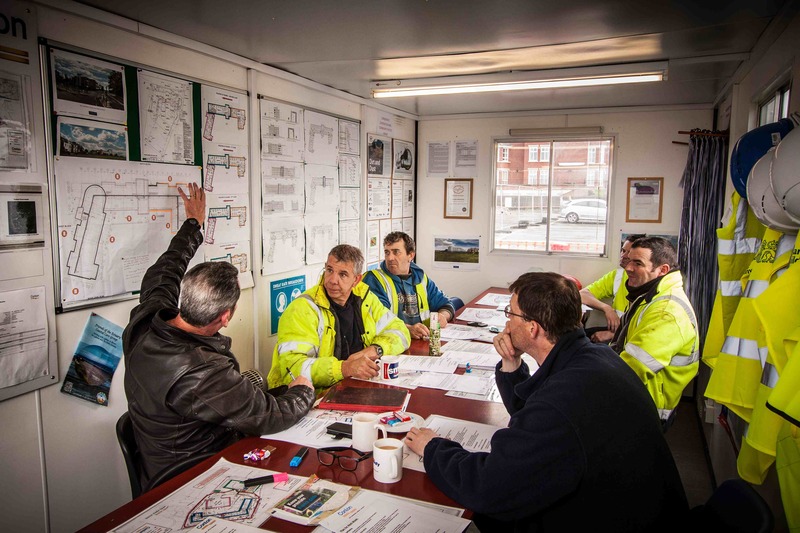 If you’ve ever wondered how everyone working on a large development, such as Jubilee House, knows exactly what to do and when, well, it’s because key members of the workforce attend Gordon’s (Site Manager) weekly update meeting! Every Friday morning, Gordon sets out the week’s work requirements and expectations (basically a very long and detailed list of jobs for the coming week!). 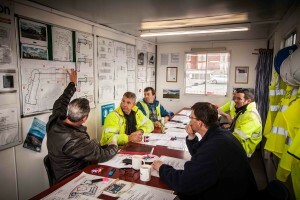 A very busy team meeting…but tea and biscuits are provided! Team Meeting at Jubilee House! This entry was posted in Planning and tagged Building Contractors, Conlon Construction, Considerate Construction, Gordon MacKenzie, jubilee house by Helen Broughton. Bookmark the permalink.